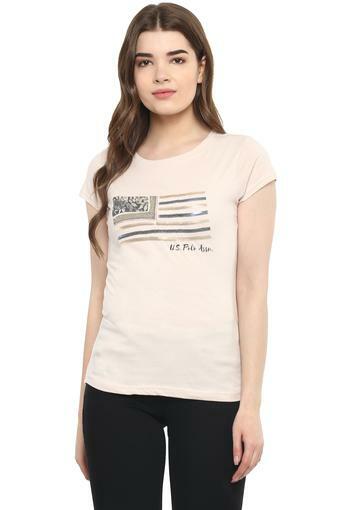 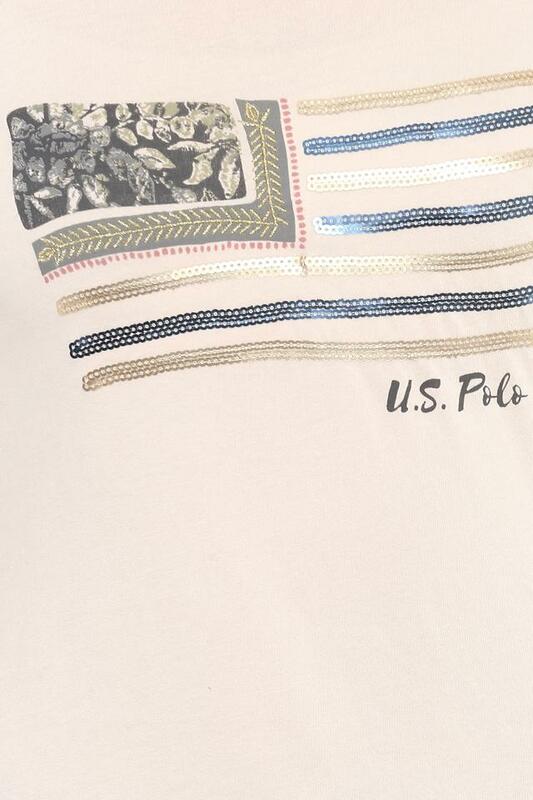 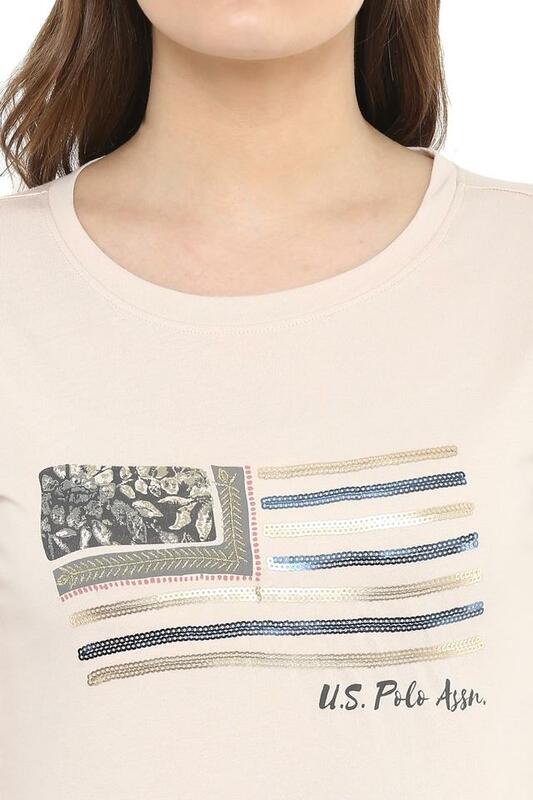 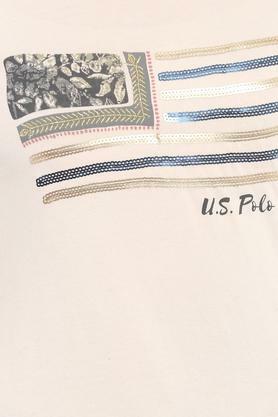 Step out in style by wearing this top from the house of U.S. Polo. It has a round neck and also comes with short sleeves that elevate its design, while the use of a good quality fabric ensures easy maintenance. In addition, it features a print pattern, which lends it a fashionable look. 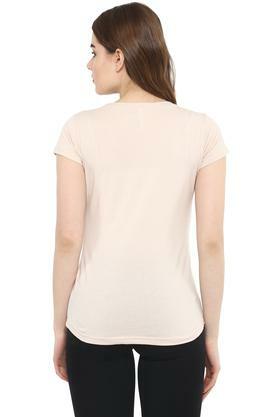 Stay comfortable throughout the day by wearing this top, which has been crafted from good quality fabric. You can combine it with a pair of pencil pants and ballerinas for any casual outing.